Good governance requires that all the actions and decisions of government be accurately recorded as public records. To have value as evidence of government activity, public records must not only be created and captured in a recordkeeping system, but must be authentic, reliable, usable, and retain their integrity. Keeping full and accurate public records can assist your agency to meet public expectations regarding transparency and accountability. 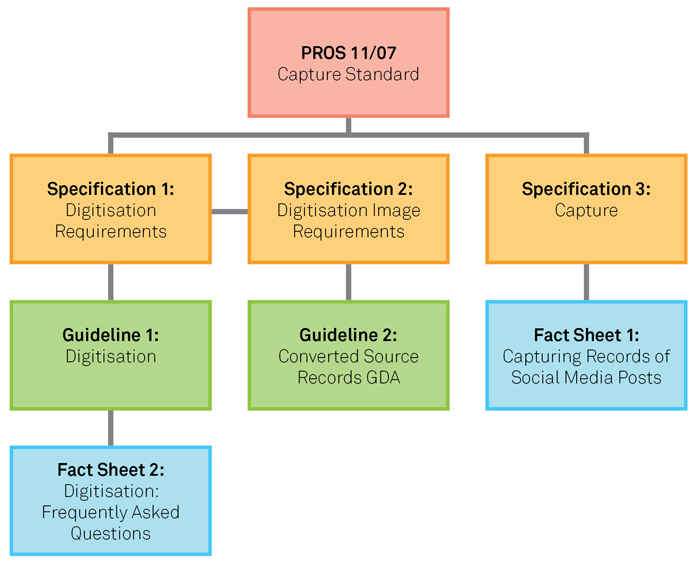 Issued by Public Record Office Victoria (PROV), this standard provides a set of mandatory principles for Victorian government agencies regarding capture of public records. Your agency is expected to comply fully with each principle contained in the standard by implementing the particular requirements as detailed in the relevant specification/s.